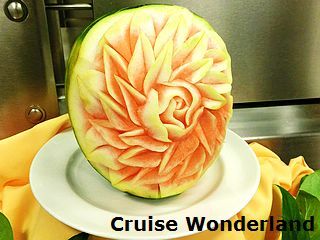 There are endless ways to spend the day on Golden Princess. 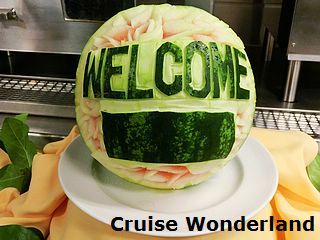 Even if passengers do not leave the ship during the days in port, they will not be bored. 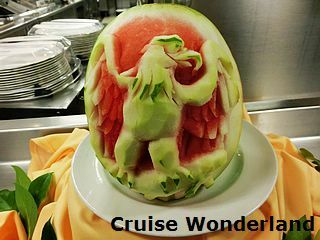 Take various ScholarShip@Sea classes, attend talks and lectures, watch fellow passengers' performances, participate in competitions, shop in the boutiques, exercise in the gymnasium and play different sports games, there are always something new and fun to do onboard. 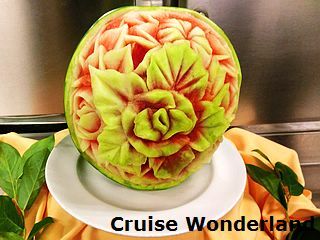 Princess Cruises has a well-known ScholarShip@Sea educational programme which offers a variety of lectures, talks and classes on culinary, navigation, natural science, art, history, and many more subjects. Passengers can have unlimited opportunities to learn and enjoy every day. 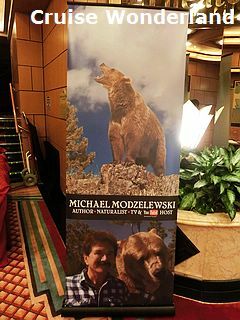 In this cruise, four lectures were given by Michael Modzelewski who is a celebrated American naturalist and author. 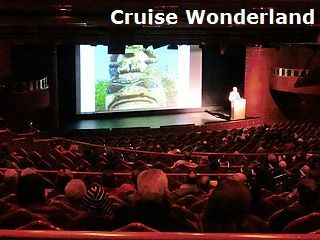 Presented in the Princess Theater, these lectures included "Alaska: The Last Frontier" (Day 2), "Close Encounter with Alaskan Wildlife" (Day 3), "Glaciers, Eskimos and Polar Bears" (Day 5), and "Native People of the North Coast" (Day 7). 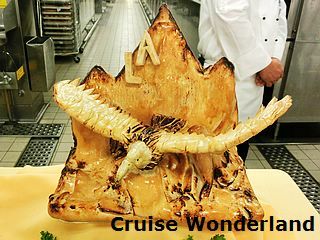 Through slide shows and videos, passengers could learn more about the animals in the wilderness, as well as the culture, art, history and inhabitants in Alaska. Moreover, Day 5 featured a presentation in the Vista Lounge, known as Navigation@Sea, by Third Officer David Booker and Third Engineer Douglas Brown. 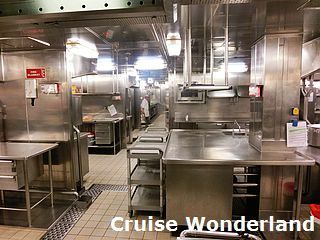 It highlighted the basics of cruise ship operation, scenes of the ship's technical spaces and also the history of navigation. 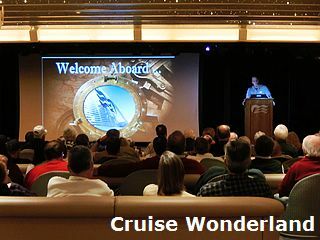 The Q&A session also increased passengers' maritime terminology from bow to stern. 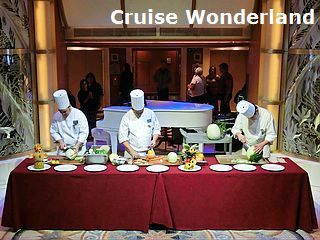 A cooking demonstration was hosted in the Princess Theater on Day 7 by the Maître d'Hôtel Angelo Balbiani and the Executive Chef John Convery, followed by a tour in the galley of Bernini Dining Room on Deck 5. 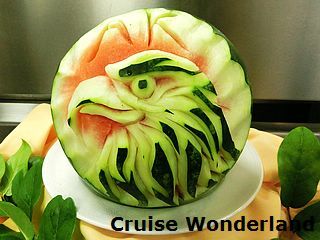 Passengers also obtained a few recipes on how to prepare some of the gourmet specialities served onboard. 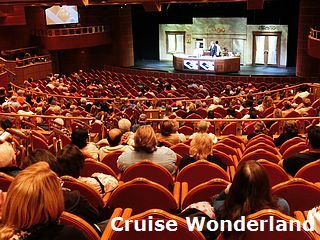 The Piazza is the three-deck-high atrium of Golden Princess and is the venue for hosting many shows, competitions, demonstrations and exhibitions. 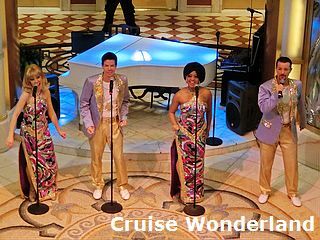 For example, in the afternoon there were "Motor City Moments" (Day 2), "Stardust Moments" (Day 4) and "British Invasion Moments" (Day 6), each consisting of a short preview scene of the evening production show performed by the singers and dancers. 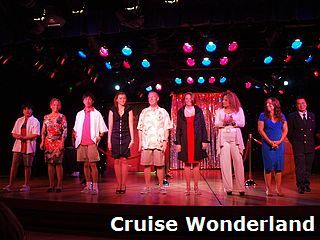 Princess Pop Choir was made up of a group of fellow passengers, no matter they were professional vocalists or amateurs. 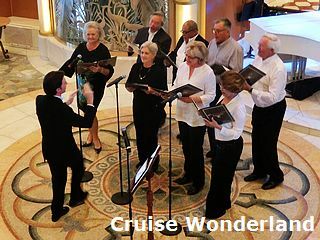 They met and joined the choir on the second day of the cruise, and had rehearsals nearly every day before taking the centre stage on Day 7 in The Piazza in front of the audience. The songs they sang included "We Are The Champions", "Waterloo", "Isn't She Lovely" and more. 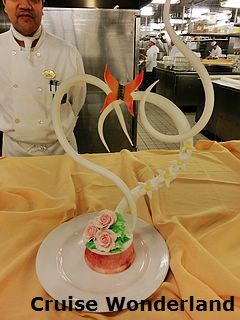 Some demonstrations were held by the food and beverage department on Day 2, such as the carving of fruits and vegetables, and the creation of some popular martinis in the Promenade Bar. 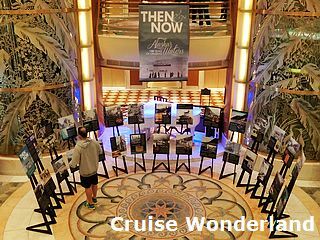 In the morning before arriving Juneau, a series of pictures by Alaska State Museum was exhibited that gave passengers a glimpse of Alaska and the Inside Passage over the past century, as experienced by the early steamship explorers. Not to mention were "The Great Egg Drop Event", "Hula Hoop Rock n' Roll Competition", "Paper Airplane Contest" and "World Class Adagio Act by Alexander & Evgenia". 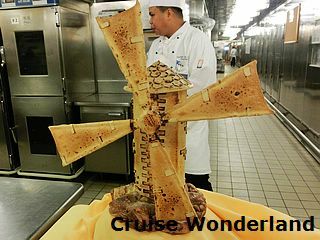 All of them were eye-catching activities and performance which attracted many passengers to watch around the atrium. 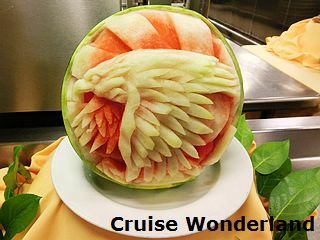 Certain area onboard was designated for sports activities. For instance, passengers may play basketball, paddle tennis or volleyball at the Sports Court at Deck 18 aft. They can also visit the Princess Links, a 9-hole putting course located amidships of Deck 16, to practise golf techniques with varying levels of difficulty. Table tennis can be found in The Conservatory on Deck 15. 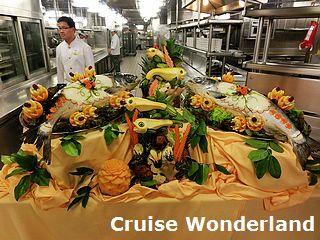 Moreover, four swimming pools are distributed between Deck 12 and Deck 15 which are suitable for different age groups. 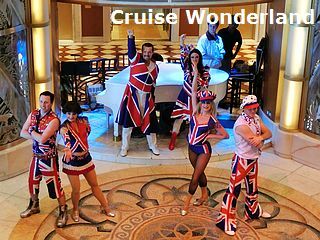 If the above activities are too active, passengers can also jog or stroll on the open decks or the Promenade. The Lotus Spa at Deck 15 forward features various services. In the spa, passengers may find a wide range of personal treatments and therapies including facials, scrubs, massages and acupuncture. On the other hand, the beauty salon offers manicure, pedicure, tooth whitening, hair styling and barbering services. There is also a Fitness Center, in which fitness equipment, different training classes and individualized trainers are available throughout the day. At the forward section of Deck 16, The Sanctuary is an adult-only relaxation area introduced after the refurbishment of Golden Princess in 2009. There are a number of outdoor private cabanas where spa and massage services are provided. Passengers can also relax on the loungers and "Serenity Stewards" are on hand to provide towels, MP3 players as well as a variety of healthy drinks and snacks. A fee of US$10 per person will be charged for a half-day entry (08:00-12:30 or 13:00-17:30) to this "pocket of tranquility". 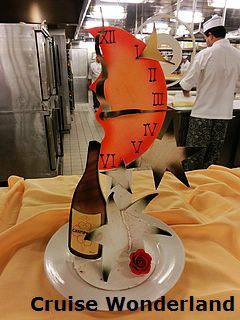 The four boutiques around The Piazza on Golden Princess offer a wide range of duty-free fashion apparel, accessories, jewellery, designer fragrances and cosmetics, liquor, cruise related gifts and sundries. 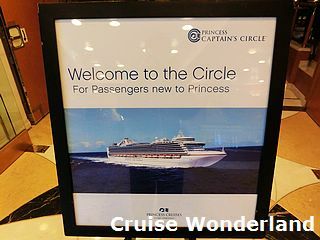 In addition to everyday savings, passengers also found many promotions throughout the cruise. "Runway@Sea" was a fashion show organized in the Vista Lounge on Day 6 by the boutiques, in which the models were all volunteer passengers. They had the chance to wear some of the latest fashion trends on the red carpet, whereas other passengers could have a sneak peek of these casual wear, sportswear and formal wear. 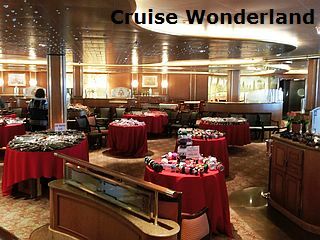 In the mornings of Day 2 and Day 7, there were "Holiday Store at Sea" and "Onboard Outlet Sale" in the Bernini Dining Room respectively. 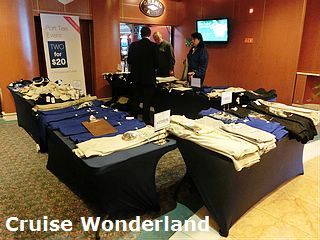 A selection of bags, watches, accessories and gifts were sold at discount prices. On the other hand, some special T-shirts, caps and local souvenirs were sold in the "Alaska Marketplace" on Deck 7 in The Piazza on Day 3 and Day 7. 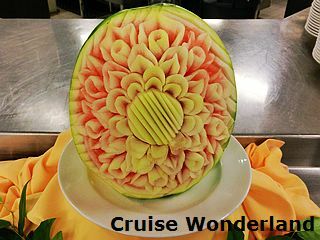 The Princess Youth and Teen Program offers continuous activities for junior cruisers at various age groups every day. 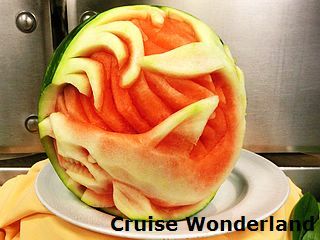 They can also enjoy their own activities in the Youth Center and Teen Center, both situated at the forward of Deck 15 and staffed by trained counsellors. 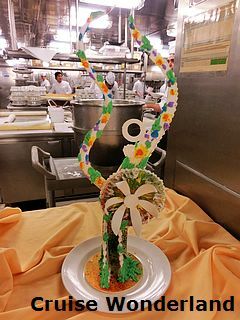 "Princess Pelicans" (ages 3-7) are entertained with arts and crafts, T-shirt colouring, dance parties, talent shows, kids' karaoke, junior shipboard olympics, videos and cartoons. Activities for "Shockwaves" (ages 8-12) include sports tournaments, scavenger hunts, as well as educational programmes developed through the affiliation with the California Science Center. "Remix" (ages 13-17) can enjoy latest movies, PlayStation 3 and Wii video games on giant screen televisions. 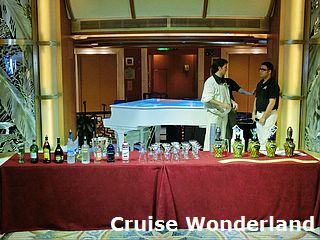 They can also participate in dance classes, experience outdoor games and events, and make new friends at special mocktail and pizza parties. 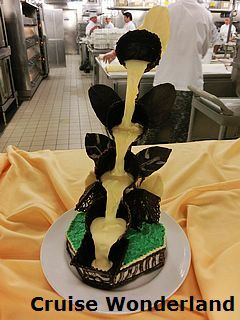 Kids and teens are able to participate in special dining events designed for each age group. On selected evenings, kids- and teens-only dinners are offered which enable them to eat with new friends and the youth staff. Besides the activities mentioned above, there were definitely much more. Art lovers may attend the Princess Fine Arts Auctions where they could bid their favourite artworks and ship them to home. For passengers who would like to try their luck, they could visit the Grand Casino to play the slot machines, table games, card tournaments, and join the complimentary gaming lessons for beginners. 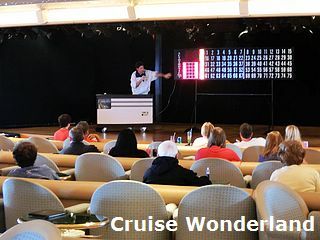 Bingo sessions were also organized regularly in the Vista Lounge. 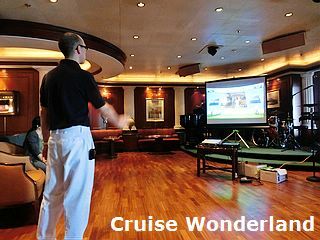 Computer games were often provided in the Wheelhouse Bar, including Xbox@Sea and Kinect@Sea. 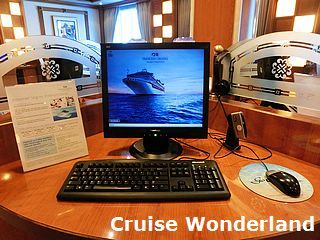 To have Internet access on the ship, you may use the desktop computers in the Internet Café, or your own laptop by wireless connection. Service fees would be charged based on the duration of usage. 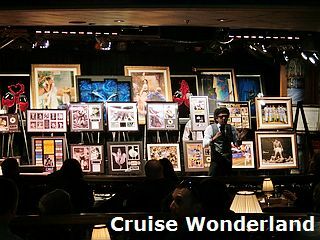 In addition, a number of trivia quizzes, bridge tournaments, karaoke sessions and ballroom dance classes were held throughout the cruise. 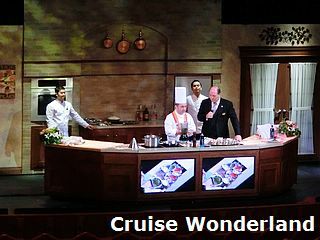 Some presentations were given by the Future Cruise Consultant Gloria Mallard on upcoming itineraries of Princess Cruises. 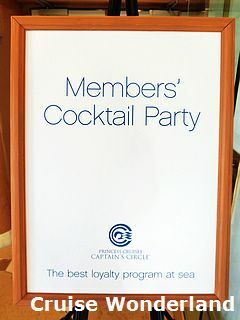 Last but not least, two events were organized by the Captain's Circle Host Kyler Mann, including the "Welcome to Princess Cruises" talk on Day 3 for the first-time cruisers, as well as the "Members' Cocktail Party" on Day 6.